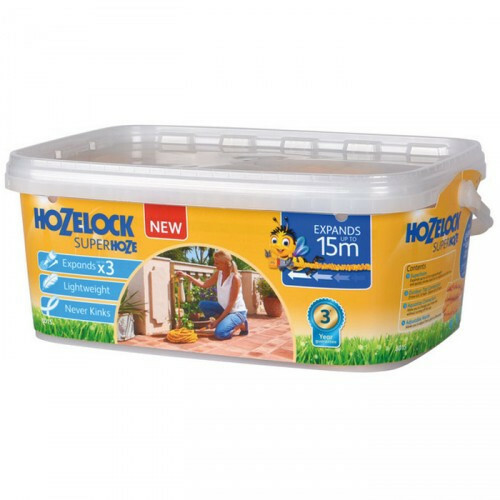 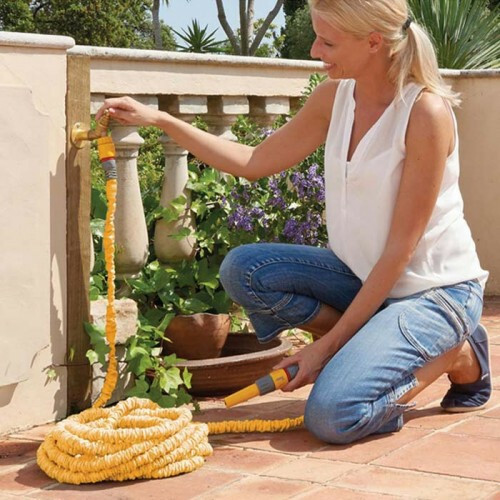 The Hozelock Superhoze covers all your watering needs. Thanks to its dynamic design it expands up to three times its original length, and then shrinks back when your finished. 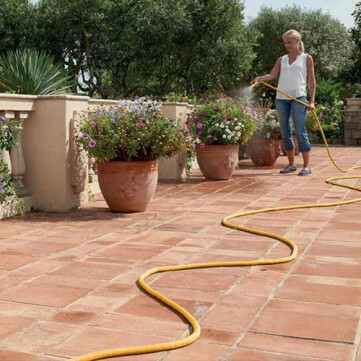 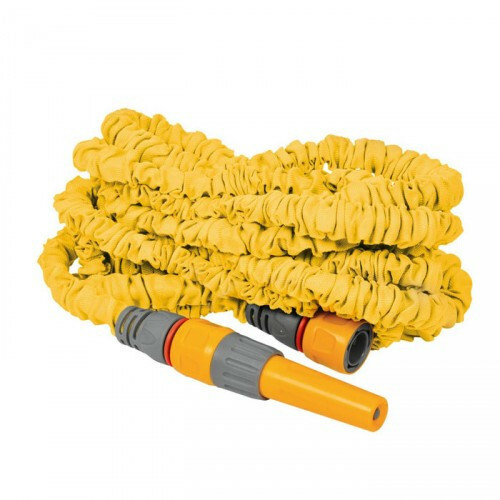 This expanding hose has not been compromised on quality as it is crafted from hard wearing rubber and UV stable polyester weave for a long life span. The Superhoze never kinks or tangles and can be stored away for easy convenience at its original size.